This article is 3173 days old. 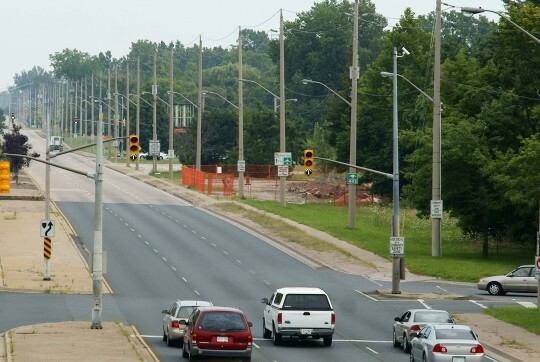 If you’ve been down Huron Church Road in the past few months, you’d be quite familiar with all the changes happening to the busiest stretch of road in Windsor. If not, that’s where we come in. The Government of Canada and Province of Ontario are committed to building a new Windsor-Detroit bridge downriver from the Ambassador Bridge and a multi-billion-dollar access road from the 401. 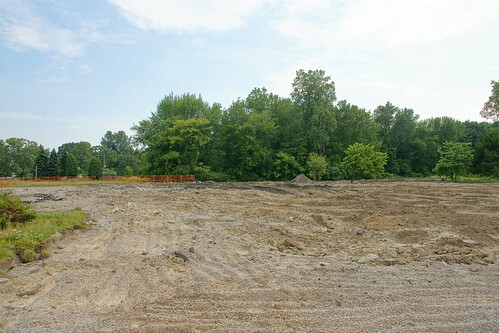 In order to build the new border route, a fair bit of South Windsor’s modern history must be laid to rest, and millions of dollars of property has been acquired by the government to date. 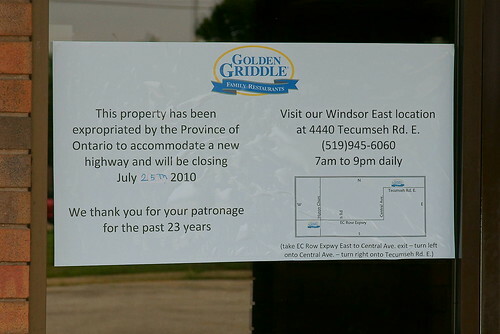 The Comfort Inn Ambassador Bridge closed its doors at the end of July. 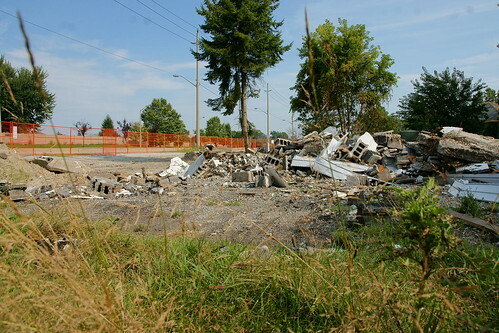 Part of Ontario’s dismantling plan with this project includes saving and reusing any salvageable materials from buildings. The hotel’s interior is being stripped. Work crews on site told us that everything from windows to piping is salvageable. 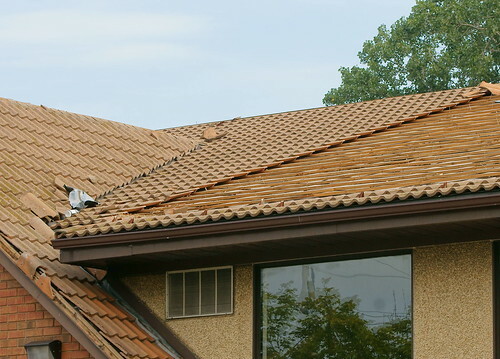 These decorative roof tiles are in the process of being saved for reuse. 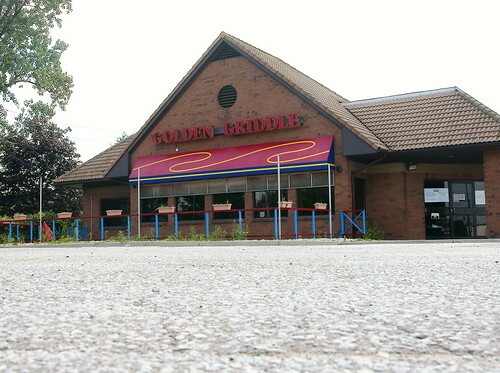 At the front of the hotel, South Windsor’s Golden Griddle shuttered its doors in July. 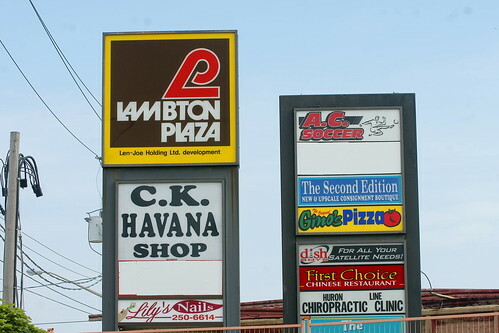 “Lambton Plaza” at Grand Marais W. and Huron Church was demolished in its entirety last week. 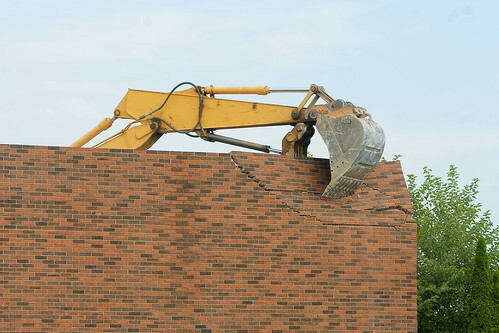 One final wall of Lambton Plaza comes down quickly on Civic Holiday. 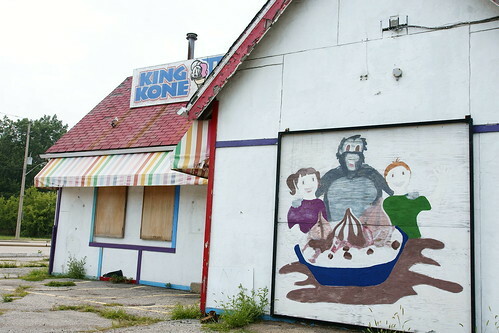 Across the street, famous summer-sweet-treat place, King Kone was bought last year. Demolition started this week. 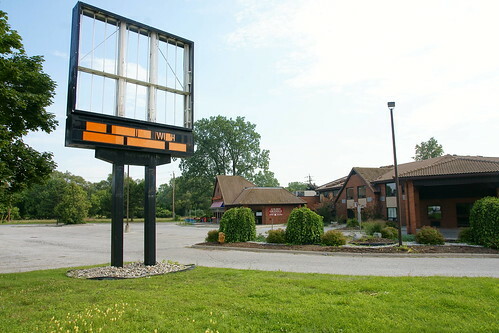 Huron Church’s Best Western, a U-shaped motel complex near Pulford Street, was torn down a few months back. 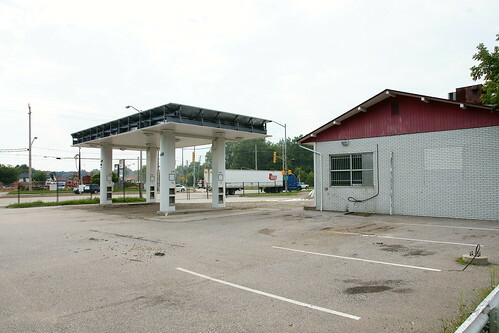 The Daytona Car Wash at Grand Marais and Huron Church is closed, awaiting its fate. Construction of a new car wash just began on Huron Church, north of EC Row Expressway. A popular stop to fill up: this Petrocan will be cleared shortly. City Council was notified Monday about 68 properties that have been acquired by the Province. 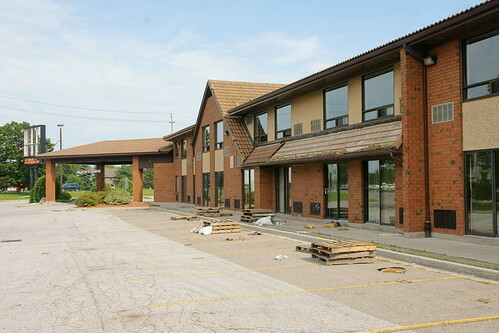 The properties will be demolished soon in accordance with the Province’s guidelines to salvage building materials. What do you think about the new border road? Weigh in and tell us your thoughts in the comment section of this article!